In 2015, I got rid of about 80% of my life’s belongings. 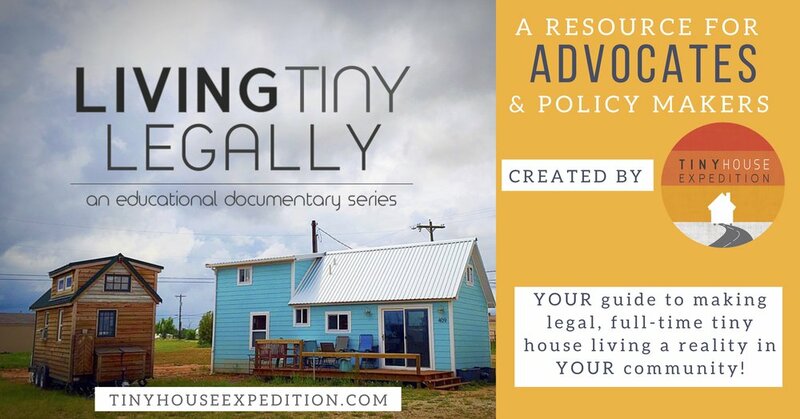 It was a decision I made after watching a documentary about tiny houses and one that would allow me to move into my own tiny house (160 square feet to be exact). But, in actuality, it was really about so much more. At the same time that I decided to downsize my stuff, I was also going through a major transition period in my life. I had been through a four-year abusive relationship, the death of my father, the death of my mother (who was also my BFF), a highly toxic job and the decline of my health. I was spent in every way - physically, emotionally and spiritually. And I was ready for a change. I was tired of surviving my life and wanted to actually start living it. I didn’t want to just talk about doing things anymore, I wanted to do them. And I wanted to stop letting fear control my life and live with a little more “oomph” as a tribute to my mom. So, I followed where I felt God was leading me - to a simpler life. I dove in to my “stuff” headfirst and began a ruthless attack, looking at everything with a new set of objective eyes. But, the funny thing is, I didn’t just end up getting rid of stuff. Yes, I did manage to trim my life down to what would fit into a space that is probably the size of some people’s walk-in closet. But, I also ended up walking away with so much more. Not tangible things that I could stack up around my house. But, emotional and spiritual gems that I could keep inside my heart. Life lessons that were so much bigger than a box of mementos or a closet full of clothes. It was the treasure that had been hiding underneath the stuff all along, I just had to start digging to find it. And now, living with more freedom and peace than I’ve ever known before, I am on a mission to share them with the world. 1. I need a whole lot less than I thought to survive. I think because we (in America, at least) live in a society that’s all about having more and getting more, it’s easy to think that we must need more to survive. If you’re constantly being told all the time that you have to get this and have that, you start to believe it along the way. You feel like if you have stuff, you’re succeeding. And if you don’t, you’re failing. 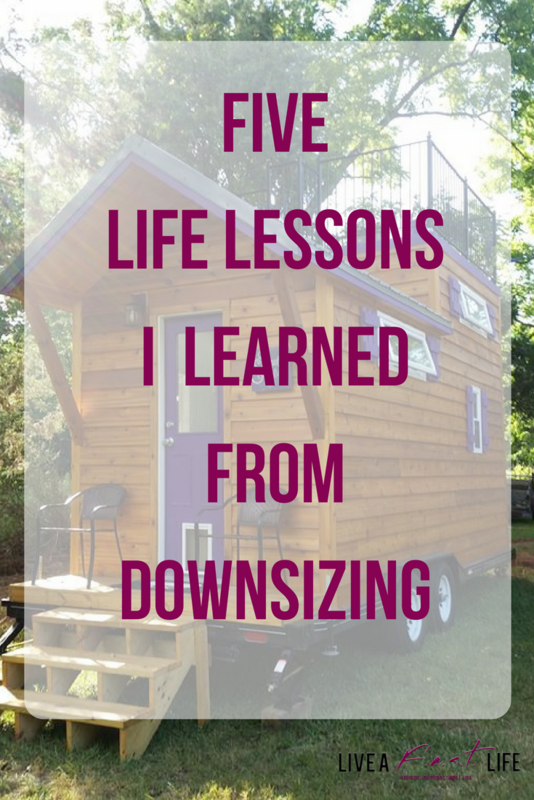 But, when I downsized, I learned that’s not true. In fact, I’d almost go as far as to say that the opposite is true. The more stuff I had, the more scattered I felt. I had to always find a place to store all that stuff. I had to organize all that stuff. I had to clean all that stuff. And I had to pay for all that stuff. Yet, how much of it was I actually interacting with on a daily basis? Probably less than 25%. When I went through my major purge and got rid of 80% of my stuff, I realized that I actually only needed the other 20% to get by the whole time. 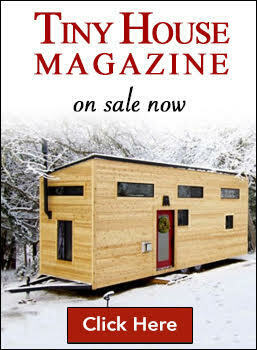 In fact, in an interesting turn of events, the only pieces of furniture that I actually kept (my mother’s sewing machine table, the two chairs that went with it and a stand-up mirror) were later stolen off the property that my tiny house was on. So, I was reminded that even though I felt like I had already downsized as far as I could go, I could always go farther and still be okay. Because the truth is, when it comes down to it, it’s all really just stuff anyway. 2. I let go of the person that I used to be and the one I could’ve been. One of the most freeing parts of downsizing was letting go of these other versions of myself that were haunting me through my clutter. First, there was the person that I used to be. Of course, so many of our “sentimental” belongings remind of a place or a time in the past. But, sometimes that’s not necessarily a good thing. If you’re still holding onto mementos from a bad relationship, let them go. Or if you used to play sports but then had an injury that ended your career, why keep all the mementos if they’re only causing you pain? I teach people to assess whether they’re holding onto something because there’s a positive emotion attached to it or a negative one. If it’s the latter, you probably want to get rid of that item. Mine weren’t quite as monumental, but I did get rid of clothes that were no longer appropriate for my age or lifestyle, a bunch of craft supplies since I no longer do crafts and even my pom uniform from high school because well, what is someone in their late 30’s going to do with a pom uniform? Downsizing also helps you to let go of the person that you “could’ve been.” For me, it was the craft supplies since I never became the Pinterest queen I thought I’d be, the art supplies for all the masterpieces I never created and the cooking tools that never got touched because let’s face it, I am never going to be the next Iron Chef. But, you know what? It is so freeing to let go of these versions of yourself because it then allows you to be the you that you truly are! Here and now, in the present day. And to focus on the things that you do truly enjoy doing. 3. I had a lot of emotional baggage that needed to go. Imagine you just got off a plane and are waiting at baggage claim. You see your bag come around the turnstile, so you grab it and start to walk away, when you realize... there’s another suitcase with your name on it. Then, a tote bag and then a small toiletry bag and a backpack. That’s how I felt when I was going through my physical clutter and the emotional baggage started to rear its ugly head. I knew going into my big “purge,” that I would face some emotions that were attached to things that had to do with my ex, my father or my mother. But, I was surprised to realize that there was a lot of other stuff there too - things that went back through my adult life, my adolescence and even my childhood. That’s the thing about clutter - it’s never just about the stuff. So, even though it wasn’t all sunshine and rainbows and there were some really tough days... the act of downsizing my physical stuff also helped me to deal with and really let go of a lot of emotional baggage that had been unknowingly weighing me down for years. In fact, I still say that is the greatest benefit I got from downsizing my stuff. 4. Life should be about doing more, not having more. Having watched both of my parents pass away before they ever really lived their lives, particularly my mother who only had six months from the time she was diagnosed before she passed away, I knew that I didn’t want to wait to live my life. And I knew that by living, I meant doing more, not having more. So, instead of spending my time, energy and money on things that would just accumulate around my house, I decided to spend my time, energy and money on experiences - going places, learning things, meeting people, achieving goals and dreams, and hopefully leaving this world a little bit better than I found it. It’s about being outside of the house more than I am in it. About being more intentional and mindful of my time and the way I spend it. And realizing that happiness and joy are not found in how much stuff you own. 5. I want to live differently. It’s the life lesson that sort of encapsulates all the other life lessons. And pretty much sums up the whole minimalist lifestyle altogether. I refer to the period after my mother passed away as the time when the “blinders” were taken off. It felt like I got let in on a secret that was being kept from all of us and I suddenly realized there was an entirely different way to live. Instead of being so stressed out all the time, running this race that I never signed up for in the first place, working a job I hate for money I don’t need to buy things I don’t want... I could live a lot more simply and a lot more joyfully. I could live in a way that was different than what I was being bombarded with by every ad and TV commercial. I don’t have to follow the same stressful job - big car - big house - big mortgage path that everyone else does. I could live with less and experience my life more. I could strip away all the excess noise of what I should look like, what I should eat, what I should own, what I should do and what I should wear and just be the me that I was created to be. And live the fabulous, abundant, simple (and tiny!) life that I was meant to live all along. Correction. 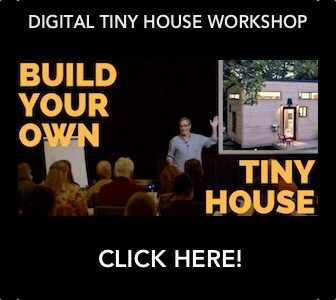 That is the greatest life lesson I learned from downsizing my stuff. Jenn Baxter is an accomplished author, speaker and blogger based in Charlotte, North Carolina. In 2015, Jenn launched her website, Live a F.A.S.T. 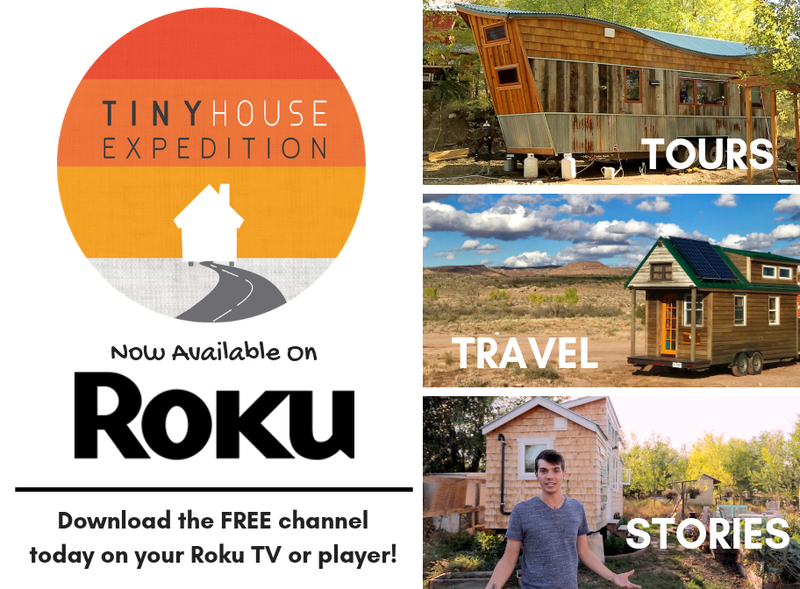 Life, based on her own experiences with clean living and downsizing into a 160-square-foot tiny house. She now teaches others how to make similar changes in their own lives through her online webinars and her e-course collection, De-Clutter, De-Tox, De-Stress. Her new book, Live a F.a.s.t. Life: How Stripping Down and Cleaning Up Gave Me My Life Back is available now on her website, Amazon and Barnes and Noble. Follow her on Facebook, Twitter, Instagram, Pinterest and YouTube. And grab your FREE De-Cluttering Jump Start Kit here!